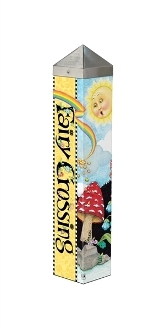 Full Description: A Studio M exclusive, Art Poles are an impactful way to bring beautiful artwork to any landscape. Ultra-durable for years of enjoyment. No digging required. All hardware included. Made in USA. US Patent No. 9,058,756 and 9,633,586.